Bill Fleming, PE, PP is the Associate responsible for the firms Utility, Water/Wastewater, Facilities and Environmental Engineering services and further leads and supports many of the Company’s diverse marketing and proposal efforts. He is responsible for project development, strategic direction, leadership, and client relationships. Mr. Fleming has 45 years of experience with the planning, permitting, design and construction of civil and environmental engineering projects including highways, bridges, and local roadways; utilities and water and wastewater facilities; civil site facilities planning and design; construction management; hazardous and solid waste management, remediation, UST/AST management, site assessment and investigations, groundwater and surface water monitoring and modeling; environmental impact assessment and regulatory agency permitting; expert testimony and litigation support; and with public presentations and hearings. 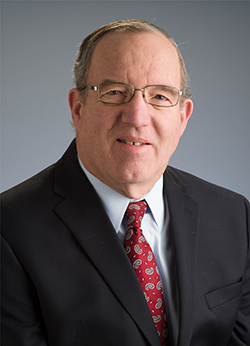 His experience includes work with the New Jersey Turnpike Authority, Department of Transportation, Division of Property Management and Construction, Department of Human Services, Department of Corrections, Department of Environmental Protection, numerous New Jersey counties, municipalities and boards, and with various federal, state and local regulatory agencies (various USEPA regions, the NJDEP and PADEP, the US Army Corp of Engineers, Soil Conservation Districts, and the NJ Pinelands Commission). He has a Bachelor of Science in Civil Engineering and Geology from the University of Notre Dame, and was a Senior Vice President and member of the Board of Directors of BCM Engineers, a $90 million national firm, and an officer with the international consulting firm, CDM. His professional affiliations include memberships in the American Society of Civil Engineers (ASCE), American Water Works Association, Water Environment Federation, Geological Society of America, and American Institute of Professional Geologists. His professional and elected civic leadership includes serving as President of the following: the NJ Section and South Jersey Branch of ASCE, the American Consulting Engineers Council of NJ, the Woodbury Board of Education, and Woodbury City Council. He is currently Treasurer of the South Jersey Land and Water Trust.